Inspired by the beauty of the Mornington Peninsula and Western Port Bay, Suzy has been creating fine quality jewellery and crafts from her studio in Merricks for over 18 years. 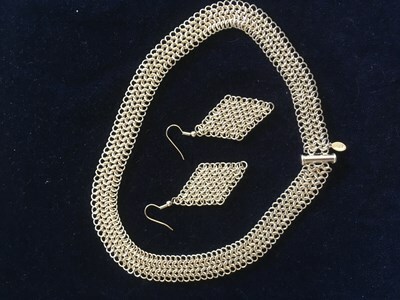 Suzy has taught many students the fine art of Chain Maille and wire weaving and continues to create and design variations of weaves, weights and clasps. Each piece is unique and lovingly handcrafted from wire, to link, to weave. Suzy most commonly uses Sterling Silver to create her pieces – thick silver wire produces beautiful heavy, chunky pieces and fine wire makes more delicate pieces.